They are headquartered in Pune, the IT, Education and Automobile hub of India. Pune, is 100 miles from Mumbai, the business capital of India. They have state-of-the-art infrastructure and world-class facilities. Their key IT systems and servers are located at the premier Internet Data center of Tata Communications Ltd, Pune, India. Also, they have partnerships with several data centers worldwide and operates servers worldwide. The driving force behind HostIndia.net is the experience, knowledge and commitment of their team. Their management team is comprised of experienced professionals recognized for their innovative achievements in the Internet industry as well as other areas of Life. Their well-trained staff is composed of professionals with unique experience and insights. 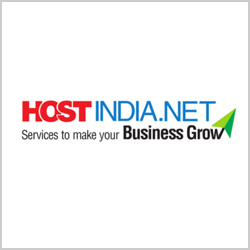 At HostIndia.net, they are committed to helping you in getting the most out of their service. The doors to their online customer service center are always open. I have a problem with the cpanel. From last 2 days I am trying to contact your support team. But I did not get a proper solution. Your team is not able to understand my problem. They do not have a basic knowledge about web hosting. HostIndia is not a right company for web hosting, they lack for uptime and speed. The worst part is they are not giving a proper answers to the customers query. Better to stop the services. I found this website from one of my old friends and he suggests me strongly about hostindia.net. As I am very new to this business I also personally found that this will be good for my requirement. In spite of the low price, this company delivered me a satisfaction level of web hosting service. Really appreciatable. HostIndia is the oldest cloud provider so I have chosen that cloud provider. But lately, when I had some issue with my server I came to know about they pathetic service. I'm really unhappy with this cloud provider. Dead Live Chat support 24*7 provided by HostIndia. Trying to connect with them through various means from past one week but haven't got any response from them.